When The Players’ Tribune debuted in 2014, it sounded like the kind of thing that could revolutionize sports media. Now, pro athletes had a direct line to readers and fans where they could break their own news rather than rely on journalists to act as a go-between. And it’s true that the platform has been used for some major announcements and behind-the-scenes explanations that would have previously come via ESPN or Sports Illustrated. But The Players’ Tribune also seemed to get stuck in the same thing that’s stalled so many other sports outlets: The ever-changing ways that we communicate with one another. The written word is always going to be a critical component of the process (even if the athletes aren’t the ones actually doing all that first-person writing). But our modern world isn’t made for 3,000-word tomes. It’s made for tweets and Instagram pics and short-form video that delivers a message quickly in a way that’s instantly shareable. That’s the logic behind The Players’ Tribune’s acquisition of Unscriptd, a sports technology platform whose feature product is a mobile app geared for athletes to create, edit and publish short-form videos. The app also allows for easy streamlining of athlete-produced content, coupled with sponsorships, to social media feeds. 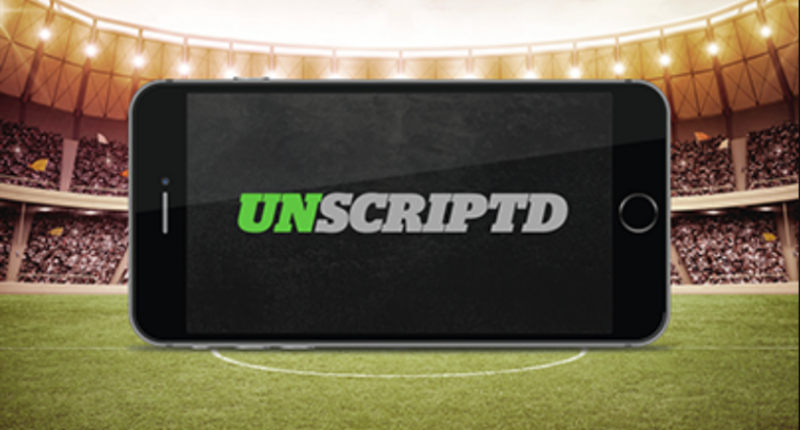 Unscriptd was founded in 2013 and started its current athlete-centric media focus in 2016. Tennis power couple Andre Agassi and Steffi Graf are among those who backed the company, which was founded by a group of former Nike executives. As of right now, it already has a network of around 2,500 athletes from around the world as dedicated users for the invite-only app. Adding that roster gives TPT access to a more global athlete base as Unscriptd had been focused on sports such as soccer, cricket, and Formula One. Some of the most notable athletes who use the platform include Cristiano Ronaldo, Lionel Messi, and Virat Kohli. The most popular videos on the app at least in terms of YouTube views involve Ronaldo, unsurprisingly. The above video of his son trying to score a goal against him has over 10 million views. That and other videos like it are from two years ago while some of the more successful videos from more recent times are in the 500K – 1M view range. TPT’s plan is to rebrand the app as The Players’ Post and bring all of those athletes into their fold. From there, they plan to expand their content creation with more video to keep up with the growing demand on their site and on social media. In other words, along with the same writing they’ve been doing, expect to see your favorite athletes breaking news and telling stories in video form (and podcast form) as well.